"We were having a look around the doll section, when my three-year-old came around the corner with this thing in her hand," Ms Douglas said. 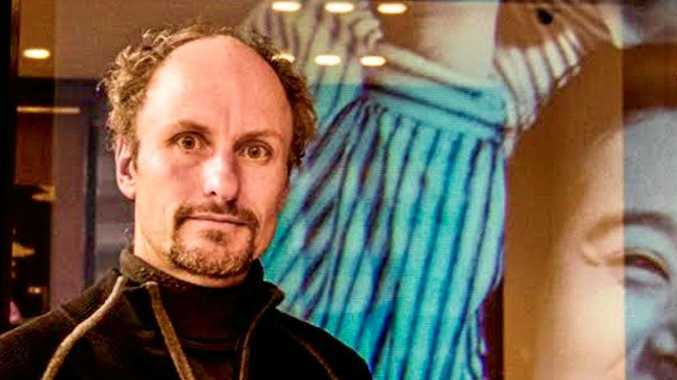 "My first impression was total shock, I said: 'What's that? Give it to me now!'." Considering what was flopping around in her daughter's hand, it's easy to see why her reaction was so strong. "When I grabbed it from her and took a proper look, I was relieved to see it was some sort of a toy," she said. "But at that angle, when I first saw it, I was quite worried that it was in my child's hand," Ms Douglas said. The bizarre toy is called an 'Ord Odditeez Fuzion Foodz’. "I took a photo to show my partner, because once I knew it was a toy I could see the funny side of it," she said. It turns out the bizarre toy is known as an 'Orb Odditeez Fuzion Foodz' and they will set you back $5 at Kmart. 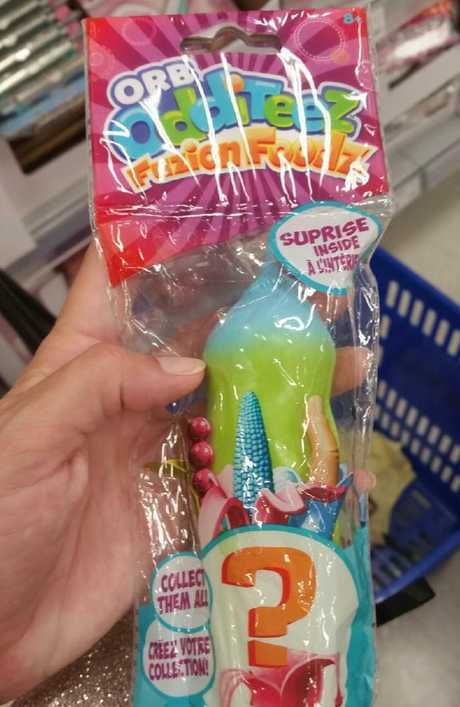 The suggestive looking toys are essentially a 'squishy surprise' that comes wrapped in a banana peel. You never know what you're child is going to unpeel - An index finger, a unicorn horn, a cob of corn, the sky is the limit. "I just thought I'd pass it on to share some light humour and did it on my lunch break," she said. "But it went absolutely crazy, with people commenting and liking it all over the place." "Perhaps the administrators of the group weren't happy with it being on there," Ms Douglas said. "I didn't intend to offend anyone, but if it did, then maybe Kmart may need to think about taking it off their shelves." 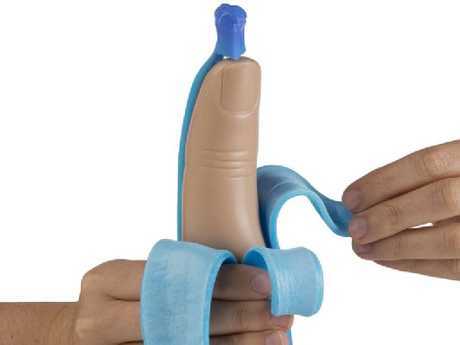 What do you think of the finger banana toy? Let us know below!